Yellow Sunshine Explosion has come up with edition 63 of the Goa Vol. Series. This time compiled by the DJ and Live Set Team Drukverdeler and DJ Bim. 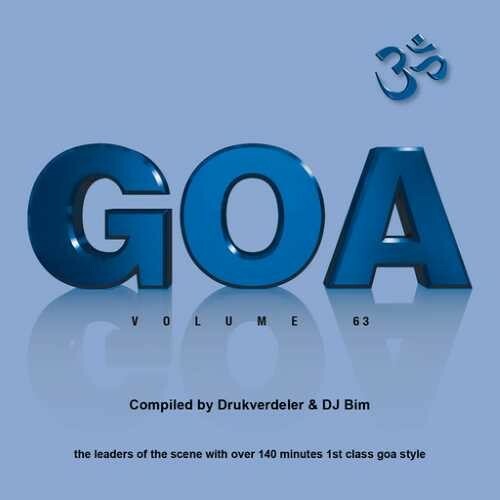 This double CD pack is a very carefully selected journey of magic and high quality Progressive and Psychedelic Trance taken from today's wide spread range of Goa Trance. Featuring Artists like Symbolic and Electric Universe, U-Recken, Outsiders and Imagine Mars, Artificials, Shivatree, Dual Resonance, Phanatic, Mindbenderz, Tripical, Serenity Flux, Reverse and Hinap, Inner State and Ilai, Microlin, Static Movement. This CD is a perfect journey throughout our scene, including unreleased tracks from Producers like Orisma, Hasche, Agent Kritsek. We like to welcome you to this outstanding release of Y.S.E.